In an extraordinary diversion from her usual repertoire, Magdalena Kožená collaborates with one of Europe’s top swing jazz bands: Ondřej Havelka and his Melody Makers. Together they explore the songbook of Cole Porter, taking the audience on a nostalgic journey of romance through authentic hot swing numbers and big band tunes from the 1930s and ’40s. The Melody Makers bring a real show to the stage, featuring virtuosic jazz soloists and the charismatic Ondřej Havelka, a real swing jazz era entertainer. This fantastic partnership sees Magdalena indulge her sultry, witty side in a deliciously entertaining homage to one of the greatest songwriters of the 20th century. 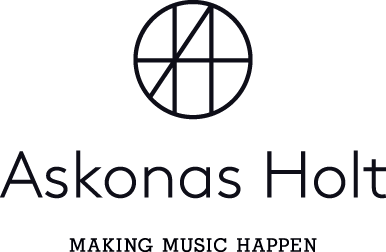 Following the first residencies of Magdalena Kožená & Ondřej Havelka and his Melody Makers in Germany and London in the 2015/2016 season, Askonas Holt is very excited to be working on some future plans for this unique project. In Autumn 2014, Askonas Holt took the Barbican’s Britten Centenary production of Curlew River on tour to the United States. Britten’s Church Parable Curlew River is a “once heard, never forgotten” work, exploring the themes of community, suffering and redemption through the unforgettable figure of the Madwoman and the loss of her child. The production is by multimedia director and video artist Netia Jones, and the premiere featured an outstanding British cast led by Ian Bostridge as the Madwoman, alongside Neal Davies and Mark Stone with Britten Sinfonia and Britten Sinfonia Voices. In 2017, we reunited with Ian Bostridge and the Britten Sinfonia to bring a concert performance of the work to Hamburg’s new Elbphilharmonie, as part of their Lux aeterna Festival. “Perhaps my most personal project to date” is how American mezzo-soprano Joyce DiDonato describes In War and Peace: Harmony through Music. Her ambitions for this collection of arias from Baroque operas are substantial. Working with breakout early music sensation il pomo d’oro – a group of musicians who are among the best to be found worldwide for authentic and vivid interpretation on period instruments – Joyce’s aim is to steer conversation and discourse to help all of us find peace in our lives in a dynamic way. The programme comprises arias divided into two sections: ‘War’ and ‘Peace’. Both contain music by Purcell and Handel – including Dido’s dignified, but searing lament from Dido and Aeneas and Almirena’s haunting and heartbreaking ‘Lascia ch’io pianga’ from Rinaldo. Askonas Holt it delighted to be working with Joyce DiDonato, il pomo d’oro and their exciting young chief conductor, Maxim Emelyanychev, to bring this exploration of conflict and resolve to cities in Europe and North America. On 1 February 2019 Joyce DiDonato releases her latest album: Songplay. Together with Craig Terry (piano), Chuck Israels (double bass), Jimmy Madison (drums), Lautaro Greco (bandoneon) and Charlie Porter (trumpet), Songplay fuses music from jazz with that from the baroque era, with Joyce and her band creating their own distinct sound-world.